Typically used to connect a Wilson Electronics antenna (FME/Female) to a splitter (N/Female). 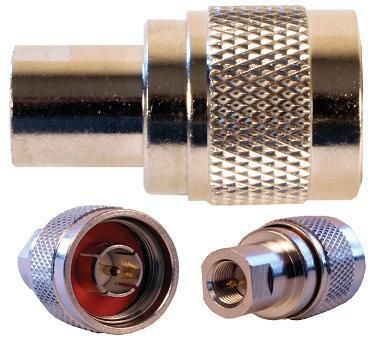 Some of our repeaters now come with N/Female connectors so this adapter may also be required to connect the antenna to the amplifier. Please check the individual amplifier listing to verify the connector type. The Yagi, Dome and Panel antennas do not use this adapter. They are N/Female terminated and must have LMR-400 cable connected between them and the amplifier or splitter.